Janella Salvador comes from a talented family, but she made it no secret that she was raised by a single parent. Her mom Janine Desiderio and her father Juan Miguel Salvador separated when she was only three years old. She didn’t see her father for several years, although she was aware that he was a rocker—the lead singer of Rage Band, which had a strong following in the '80s. 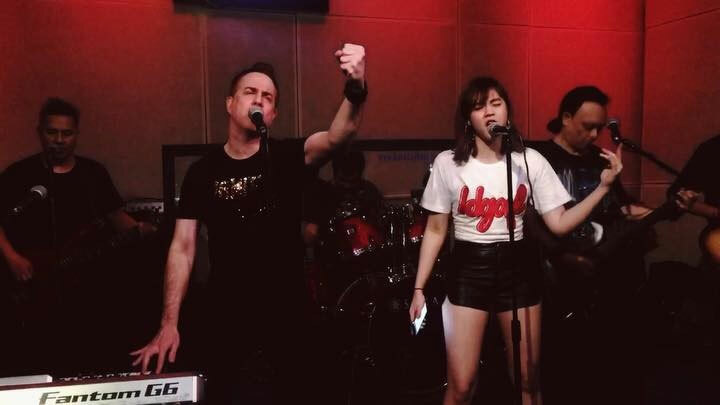 She told PEP in November 2015 that growing up, people were telling her what a good singer her dad was, but that she couldn’t relate because she had never seen him perform. After that show in 2015, she got to talk to him. He was surprised to see her there, Janella recalled, and asked her to get in touch more often. It was an emotional reunion, which ended with her hugging it out with her dad. There’s no doubt Janella and her dad loved every second of sharing the stage together, and that he was so proud of her. At the very end of the set, just like the first time they met three years ago, they hugged.